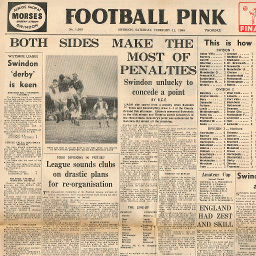 Swindon and Coventry met in the final of one of the least-known competitions in 1935, when they both reached the Division Three (South) Cup final - an early forerunner of today's Football League Trophy competition. 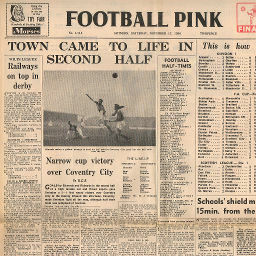 A two-legged affair, Coventry took a healthy lead into the second leg after winning 2-0 at the County Ground, eventually winning the match 5-2 on aggregate. 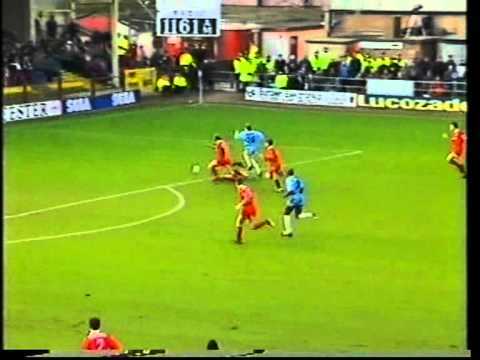 Coventry were one of the few sides that Swindon registered a victory over in the Premiership season of 1993/94, when a hat-trick for the revitalised Jan Fjortoft inspired the Town to a 3-1 win in February, during a period where hopes were raised that the Town might lift themselves away from the bottom of the table. 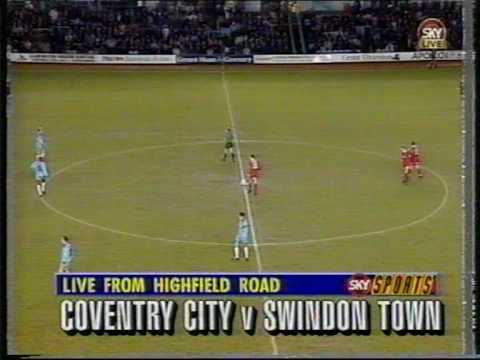 A month earlier, the fixture at Highfield Road was hastily arranged to be shown live on Sky TV after their original match was postponed - then, after dominating for long periods, the Sky Blues took the lead through ex-Town loanee Roy Wegerle after 76 minutes. The television pictures were lost just before the end of the game - and Sky returned to the presenter of the show, Richard Keys (himself a Coventry fan) - as they discussed a deserved victory for the Sky Blues in the studio, word got back that the Town had equallised - Andy Mutch netting an injury time goal to rescue a point for Swindon. 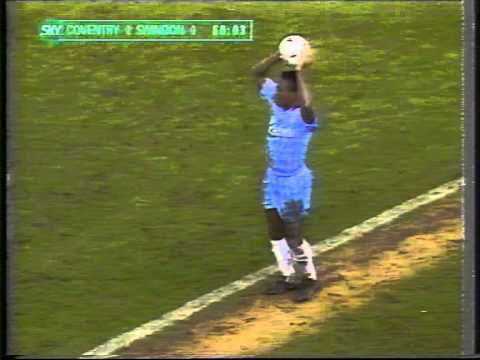 News clips of the Town's last gasp equaliser at Coventry. When the originally scheduled match was postponed, Sky hastily arranged to show the Town's match at Coventry instead - but, with the Town 1-0 down, the pictures were lost with just three minutes left on the clock. A hat-trick from Jan Fj�rtoft, including two penalties, wraps up a second successive win for the Town - and the aeroplane celebration is born. Over 14,000 pack the County Ground to witness the visit of a Premiership Coventry side - any hopes of a giant-killing are erased early on, when a poor backpass by Sol Davis lets in Craig Bellamy for the opening goal, Mustapha Hadji adding a second later on. A last gasp winner from Michael Smith gives the Town a deserved victory at Sixfields - and keeps the Town's faint play-off hopes alive. 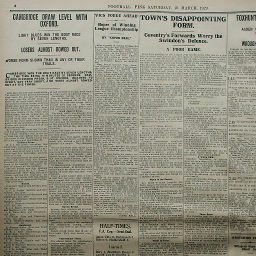 Click to view a newspaper report of Swindon's 1-2 defeat against Coventry City in the 1928-1929 season. 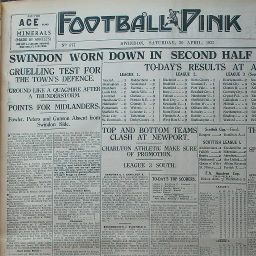 Click to view a newspaper report of Swindon's 2-2 draw against Coventry City in the 1931-1932 season. 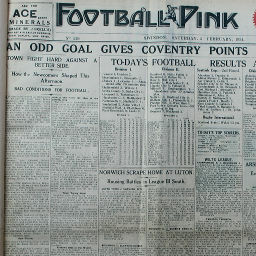 Click to view a newspaper report of Swindon's 2-3 defeat at Coventry City in the 1931-1932 season. 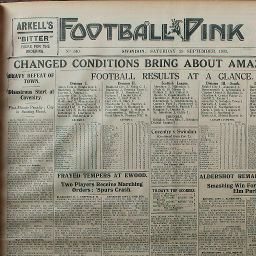 Click to view a newspaper report of Swindon's 1-2 defeat at Coventry City in the 1932-1933 season. 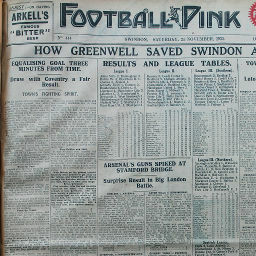 Click to view a newspaper report of Swindon's 1-2 defeat against Coventry City in the 1932-1933 season. 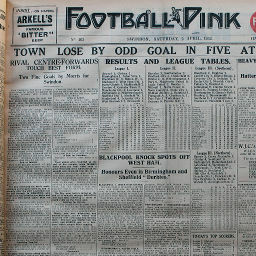 Click to view a newspaper report of Swindon's 1-5 defeat at Coventry City in the 1933-1934 season. 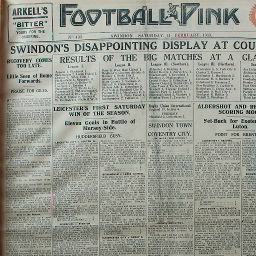 Click to view a newspaper report of Swindon's 0-1 defeat against Coventry City in the 1933-1934 season. 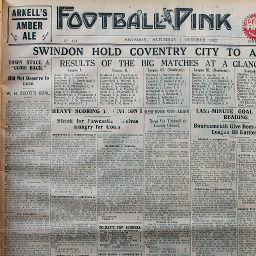 Click to view a newspaper report of Swindon's 0-3 defeat at Coventry City in the 1934-1935 season. Saturday, December 20, 1952 BEATEN AFTER SCORING TWO IN 7 MIN. Click to view a newspaper report of Swindon's 2-3 defeat against Coventry City in the 1952-1953 season. 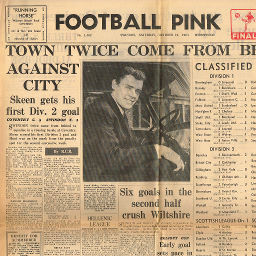 Click to view a newspaper report of Swindon's 1-1 draw against Coventry City in the 1953-1954 season. Click to view a newspaper report of Swindon's 0-0 draw at Coventry City in the 1953-1954 season. 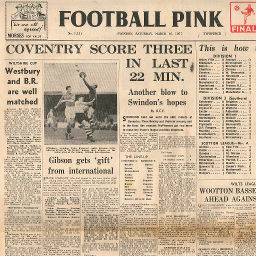 Click to view a newspaper report of Swindon's 0-1 defeat at Coventry City in the 1954-1955 season. 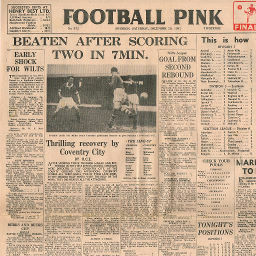 Click to view a newspaper report of Swindon's 0-6 defeat at Coventry City in the 1955-1956 season. 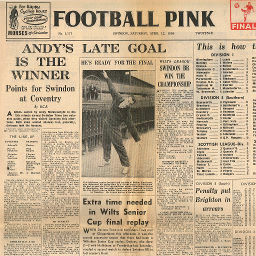 Click to view a newspaper report of Swindon's 1-1 draw against Coventry City in the 1955-1956 season. 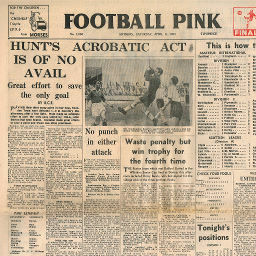 Click to view a newspaper report of Swindon's 2-1 win against Coventry City in the 1956-1957 season. Saturday, March 16, 1957 COVENTRY SCORE THREE IN LAST 22 MIN. Click to view a newspaper report of Swindon's 0-3 defeat at Coventry City in the 1956-1957 season. 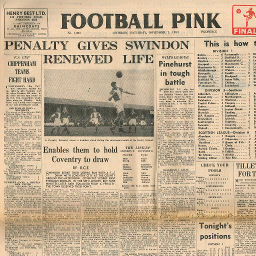 Click to view a newspaper report of Swindon's 2-1 win against Coventry City in the 1957-1958 season. 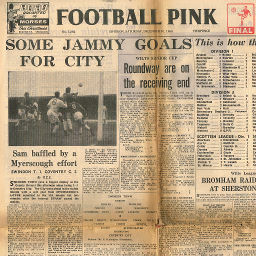 Click to view a newspaper report of Swindon's 1-0 win at Coventry City in the 1957-1958 season. 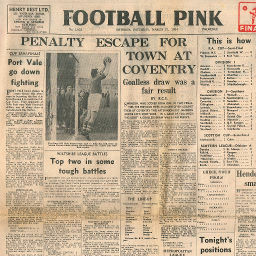 Click to view a newspaper report of Swindon's 1-3 defeat at Coventry City in the 1959-1960 season. 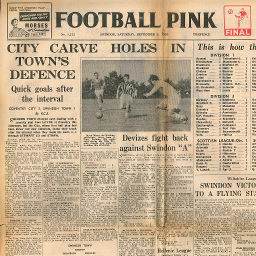 Click to view a newspaper report of Swindon's 1-2 defeat against Coventry City in the 1960-1961 season. 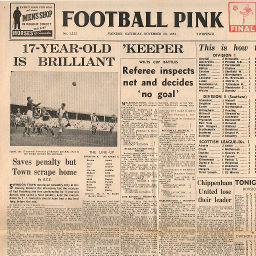 Click to view a newspaper report of Swindon's 2-3 defeat at Coventry City in the 1964-1965 season. 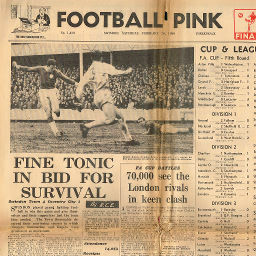 Click to view a newspaper report of Swindon's 4-1 win against Coventry City in the 1964-1965 season. 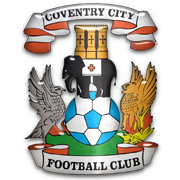 Coventry City win 5-2 on aggregate.